Guyabano drink by NutriAsia is sourced from local produce in the Philippines. I was delighted to see at the airport that Philippine Airlines is treating its passengers with Filipino blend. PAL is giving complimentary drink to passengers during holiday season, particularly this Holy Week. 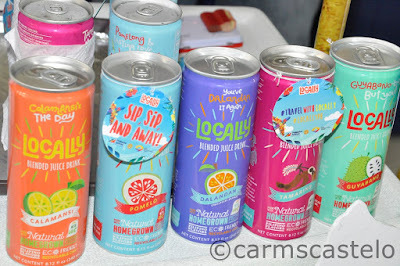 The five flavors to choose from include dalandan, guyabano, tamarind, calamansi and pomelo drinks in can by NutriAsia. Dubbed as sipsip and away, a passenger has to show his boarding pass to get the free drink or simply they'll just approach you to give you a drink of your choice. 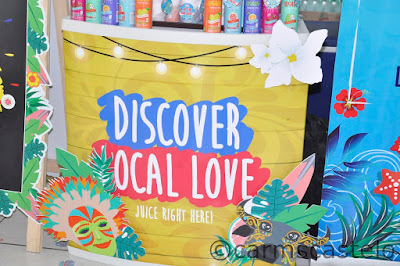 The hashtags #travelwithlocally and #locallyph are used to promote the products. By this means, like that introducing the pili lipstick in the boutique, local products are showcased and local produce in a new form creates a new market. In the end, this also helps the local agriculture and promotes local brand. Meanwhile, while talking with the persons in the booth, a Japanese approached to say the juice drink is quite sweet, which I did agree. 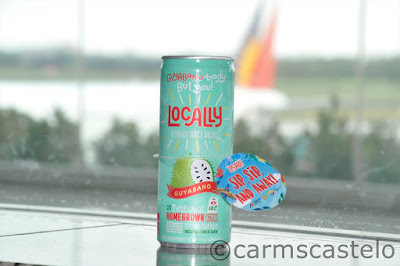 I tried guyabano and it's a bit sweeter than I expected.